Ah! Me! Never thought I'd find anyone generous enough to inflict my writing through his blog and generally lower the tone of his blog. Pramod Lohia is either an extremely generous soul or too good-natured to say 'No'. Imagine, too, that he takes a bachelor's tips on how to stay a bachelor and posts it on a blog called marriagebook!! That, to me, is the heights of generosity. A Season of Hope! A Season of Despair! This was our season of hope. There was an expectant buzz among all UVians. An undercurrent of uneasiness and even some quiet despair was apparent in some of the older UVians. Newer ones like us were looked on with an element of contempt and anger. None of that dampened the excitement in me. Why should all major occasions be inaugurated by a virtual torrent of words is a mystery that I shall never be able to solve. Maybe the old UVians acquired their speech-making habits from the humans they perceived. All UVians reverently genuflected in the direction of the Sun. “It is only the female human that offers us the best possibility of attaining Nirvana as also the possibility of the most pleasant path to it.” Pleasures imagined from a recollection of what the old myths had to say about this path brightened his entire appearance. I knew what was coming. Ever since we new UVians had arrived the oldies had been muttering about this. Somehow they seemed to think that the fact that they had suffered the entry through the Othree barrier, while a lot of us had come in through the new gateway, made them better than us. As though we did not deserve to achieve Nirvana because we had had it easy while entering the hallowed precincts of this planet! “If I have heard this Nirvana-made-easy argument once I have heard it a hundred times”, I erupted. There was a loud clamor from both sides and nothing much could be comprehended. The stentorian communication of the Grand Old UVian cut through it all. There was a sudden cessation of all communication. Speeding through the atmosphere towards the planet of Nirvana was exhilarating. Nearing the planet I realized that I had been very lucky indeed and was heading directly for one of those open spaces bordering a vast volume of liquid. Nirvana was so close that I could almost sink in the portended ecstasy of the experience. The only fly in my ointment was the fact that the speech-making elder was close to me. One could have chosen better company when on the verge of the ultimate ecstasy. There was a human. By the description of the older UVians that must be a female as well…No! Two of them side by side! I could hardly miss hitting my target if I succeeded in evading those tiny bits of outer-wear that could cause disaster! Within micrometers of reaching my goal I stopped and hovered, aghast at the sight of the gossamer being enveloping the female human, who was my route to my goal. This, then, must be the SPiFfian! Waves of cold emanated from the being and I started feeling weak. “Thou shalt not pass!” said she implacably. I moved a nanometer further and found my extremities freezing. I retreated a micrometer. Discretion is the better part of valor and if I bounced off into the stratosphere I could well try the next season to achieve Nirvana. Just as I was turning I saw the old UVian, who was already speeding away, smirk at me. My own words came to bite me. Was I a loser who would be addressing the next meeting, filled with pride merely because I had survived? Better to attempt the passage and if the Holy Sun decreed my extinction, so be it! I plunged with all speed down and into the gossamer being. The two women relaxed and dozed in the sun totally unaware of the absolute extinction of millions of UVians on their suntanned bodies! In one’s misery lies the foundation of another’s happiness. Such is life! This was my brother-in-law (cousin!) from Philadelphia. How did he reach my wall in Bangalore and why deface my wall to remind me of the passing of another of my dwindling stock of years? Ah! In the bygone years, I had suddenly acquired something called a Facebook page, of which I knew for the first time when I started getting ‘Friend’ requests in my mail. I have always been moved by the fact that people wanted to make friends with me and, thus, had acceded to every single one of them – which was about my only activity on Facebook. It will always be a mystery to me as to how I got a Facebook page in the first place considering that I had never shopped for one in my life. One of the unfathomable mysteries of the online world! I felt impelled to see what Facebook was all about. After all, I could not let someone, a decade-and-a-half my senior, upstage me! Who was this Varun and why did he think that I was spending sleepless nights worrying about what he had for breakfast and whether he liked it? I racked my brains and only ended up developing a dizzy feeling north of my neck. I proceeded to read the comments and found myself deeper and deeper at sea. “Reminds me of my mother’s upma” said one. Was the mere mention of the dish sufficient to send the commenter into transports of reminiscence about good old Mom’s upma or was there something – what was it that the youth keep talking about? Apps, or some such thing – that actually transmitted the smell and taste of the upma Varun had? “I love aloo parantha for breakfast” said another. Ah! Well! Precisely what Varun wanted to know, I suppose, but why tell the world? Information to all potential hosts? I scanned through the rest of the comments but when it got to a link that lead me to a post comparing upma, aloo poha and paranthas as breakfast foods, complete with nutritional details and health hazards, I gave up. I was well in over my head and did not know swimming. I could have pressed the Like button to register my presence, I suppose, but I did not know whether that meant that I liked Varun or I liked the upma or whether I liked Varun enjoying his upma. Not knowing Varun or the upma was a grave handicap in choosing to ‘Like’ it, so I played it safe and skipped to the next message. “I just love this Avril Lavigne song” was the next one, complete with a link to Youtube. Who was this Shilpa and who was Avril Lavigne? A scan through the comments intensified the rotary motion of the insides of my head. So many singers in the world and I had not heard of even one. I clicked on the link and found that I could not ‘Like’ the song! When had I become so hide-bound in my musical tastes that I had ended up preferring the songs of my youth, much like I used to blame my parents of being when I was young? I sighed feeling unutterably weary and feeling every one of my forty-nine years in my bones. Could I add a comment, at least, even if I could not ‘Like’ it? Much as I would have liked to I had a faint suspicion that a comment about how much I liked Ragam-Tanam-Pallavi in Carnatic music would not be a welcome addition to the feast of reason here. Regretfully I passed on to the next message. Really? Having never noticed the existence of Akash, I could not bring myself to care deeply about what color of the rainbow he felt on any given day. I went over to the comments to see if I could add to the gems of wisdom there. They ranged from a curious “Why?” to the scintillatingly original “Cheer up!” to the companionable “I am feeling blue too”. This last, I think, would have cheered up Akash no end. After all, misery loves company and when you are in good company you cannot help cheer up, can you? But, wait! Twenty-seven people ‘Liked’ this? And they called themselves ‘Friends’? I had always thought of people who rejoiced in my misery as enemies! Apparently, now, people who liked the fact that you were miserable are friends and people who do not like the fact that you are miserable are not! Never had the generation gap yawned wider than now! This very thought made me feel gloomy and the only thing that stopped me from plunging into the depths of despair was the fact that forty-five people would, probably, ‘Like’ it! I wearily switched off the PC, tottered to my feet and groped for the walking stick that I never possessed but desperately wanted then. One minor brush with Zuckerberg’s world had left me feeling aged and decrepit. I do not think that I can survive another! There is a peculiar trait that I observe in my friends. Though they used to love vocal music in the initial days of our acquaintance, they all either turn music-haters or lovers of instrumental music within days of our acquaintance. I have always been surprised by this fact but once I heard the strains of a Rafi song just as I was approaching my friend’s house. A friend loudly whispered, ‘Suresh is coming’ and, then, there was sudden silence followed by the lilting tones of Chaurasia’s flute. The mystery was solved. I have never really been able to appreciate music unless I sang along with it. I know I have a lovely voice and can hold a tune perfectly. When my friends say things like “Put a sock in it” or “God! If I had wanted a donkey in the house I would have invited one myself” (to a chorus of ‘But you did invite one’) and things like that, I smile indulgently because I know that it is merely juvenile high spirits. This preference for instrumental music is, therefore, merely because I would not be conversing when I sing. I was immensely moved by how much my friends appreciated my scintillating conversation that they were willing to forego their favorite songs in order to ensure that they had the benefit of my words. It is not that I sing only when someone is playing a song. I am a good enough singer to sing even without such accompaniment. Another peculiar trait that I observe in my friends – the less juvenile ones – is the way they compliment me. When I am done with singing a song, one would say, ‘Great song’ with a peculiar inflection on the second word. Another would say, “How do you manage to remember all the lyrics” and, if I did not know him well, it would have seemed very much as though he was regretting that accomplishment on my part. It is not that I lack for people who genuinely admire my singing and express it without reservations. There is an interesting statistical fact about these admirers, however! My Tamil friends are lavish in their praise of my rendering of Hindi songs and my Hindi friends are bowled over by my rendering of Tamil songs. If I were a more suspicious character, it would seem as though that that praise was out of relief at their own favorites not being mangled coupled with a desire to keep me off their favorites for as long as possible. I am not that paranoid, however. It is while we are traveling by road that my singing is non-stop. As I have mentioned earlier somewhere, when I am traveling by road the contents of my stomach also feel the irresistible urge to travel upwards and outwards. If that urge is mild, I try to keep my mind off the churn in my stomach by singing continuously. There are two schools of thought that my friends pursue as an interesting means of warding off the monotony of the journey. One group argues that it would rather have me spew the contents of my stomach than sing. The other group acts as though it can see the point of that argument but feels that the singing is just a hair better than the other option. The clinching argument is produced by the second group when it says that if the vomiting were to be silent then they would prefer stink to song but, since that was unlikely, song wins over stink coupled with sound. Nice to know that you can ensure that people amuse themselves though it always amazes me that people will go to any extent to hide the fact that they enjoy your singing! When I say that they ought to be grateful to me for alleviating the monotony of the journey all of them act as though they were terribly annoyed. Great actors, my friends! The least I can do for such wonderful friends is to keep singing and entertaining them! Not content with inflicting my views on the unsuspecting populace through my own blog, I have also taken recourse to the-NRI to inflict my views on their unsuspecting readership. What is more, they have posted it at the following URL. Any of my readers, with more masochistic leanings than most, are welcome to treat themselves to a further dose of my writing there. I must warn you, however, that this post is not what passes for humour in my lexicon. It is, believe it or not, intended to be a serious post and any humour you find in it is purely unintentional! Look at me today and it is difficult to believe that I was a very popular cricketer in my youth. Batting, bowling or fielding I was the darling of the crowds. It was either a conspiracy of fate or the envy of my fellow-cricketers at school that I did not find a place in the cricket team of my school and a promising cricketing career was nipped in the bud. There are batsmen who attract crowds with their shots. Since they only play these shots every now and then, the crowds get entertained infrequently. I, however, entertained the crowds from the moment I took my stance. Having never seen any batsman spread his legs wide apart and tuck the bat in the geometric center of that space, the spectators were normally all attention on me. With the way I stood, it was a toss-up as to whether I would hit the shin of the right leg on my backswing or the ankle of the left leg when I swung the bat forward. I believe that the first instance of ball-by-ball betting in cricket happened then, when an enterprising student started taking bets on which of the two would happen. You know how hide-bound people can be. The games master instructed me to place my legs closer together and I tried out his way. This insidious plot aimed at minimizing my popularity was foiled by the fact that, whenever I tried to hit the ball, I would gracefully topple over thereby managing to rivet the attention of the spectators. I, thereafter, reverted to my usual stance. The red letter day in my batting history was when I managed to avoid the front leg and hit the ball for a boundary. Or, at least, it would have been a certain boundary but for the fact that the fielder at point was inconsiderate enough to get in the way and claim a catch. I truly do not like blowing my own trumpet but I was probably the first slinger in the history of world cricket. At least the first slinging spinner! I really do not know whether Malinga was a part of the crowd of admiring spectators. Seems unlikely but the world is full of unlikely incidents. Who knows, I may have been the primary inspiration for his slinging ways. The world is full of jealous people. Can you believe that people actually said that the only way I could get a wicket was if the batsman fell asleep waiting for the ball to arrive? I was a vicious spinner of the ball and could have extracted turn better than Murali. The problem, however, was that the batsmen just wouldn’t wait for the ball to pitch before hitting it. Here I was using all my guile and craft to impart spin to the ball such that the batsmen would be deceived by the turn after it pitched and those idiots would not even allow the ball to pitch. They used to run half-way down the pitch and take it on the full. Is that fair? Cheating, I call it! Still, no one could rob me of my popularity. The spectators normally cheered non-stop while I was bowling. My detractors were, as usual, keen on robbing me of the credit. They claimed that the spectators were cheering the batsmen for their prowess in hitting boundaries. If they were cheering the batsmen and not me then why do they cheer mainly when I was bowling? Can you answer me that? Fielding, I must modestly say, was always my forte. I had an uncanny ability to time my catches perfectly. Do you know of anyone who could invariably take a spooned catch on the tips of his fingers? Every time I managed to do it and, instead of lauding me for the accuracy of the timing or commiserating with me in my pain, people used to shout at me for missing the catch. I don’t know what they mean by missing – considering that the ball has never once missed knocking off a nail from my fingers. As for ground fielding, if I told you about my contributions you would not believe it. Oh! All Right!All Right! I will tell you. In a time when Indian cricketers were shy of diving while fielding, I was always diving around. Whenever the ball was struck firmly in my direction I used to dive – the other way! Only a suicidal person would get in the way of a rapidly traveling cricket ball! Considering my all round abilities to entertain on the cricket field, I know that all of you must be convinced that I would have been a shoo-in for any cricket team. So I would have been but for the rampant favoritism prevalent in the country then! It is a tribute to the essential sweetness of my nature that I am still able to take interest in Cricket! Once again I have lost my girl-friend. I lament about this to my friend and he comes out with an Oscar Wilde quote, “Losing one may be termed a misfortune. Losing two can only be sheer carelessness” and laughs immoderately. Such is the sympathy of friends! But, really! I cannot see why this happens to me. Thanks to an industrious dad, I go around in up-market cars, wear designer apparel and am a generous party animal. I look good enough to eat, as my current ex-girlfriend remarked very frequently when she was still my girlfriend. My expressive eyes have been the talk of all the girls. Though they seem to have expressed very little to men, the way they pop out when they see a beautiful girl must have been very eloquent to the women. Above all, I have a great sense of humor. In fact, both my former girlfriends were drawn to me by my sense of humor …… or so they said. “I really love your sense of humor”, said Nita looking meltingly at me. I melt very easily when it comes to beautiful women. Nita may not be the sort that draws wolf-whistles from street Romeos but if you get up close to her and look into her eyes, you would find it difficult to think of anything else. From then on, Nita and I were practically inseparable. Friends used to joke that someone had stuck us together with Fevi-kwick and, when I say I actually regretted that such a thing had not happened, you can realize how far gone I was. One day, Nita came over in a sari apparently gifted by an aunt, who seemed to have quaint ideas not only about the sort of apparel but also about the colors preferred by young women. The poor girl also had to parade in it in order to satisfy her aunt about how much she liked the gift. “This sari makes me look real ugly”, lamented Nita. With a sort of dirty gray sprayed irregularly over a psychedelic green, that sari would have made Helen of Troy look like a gargoyle. I could not resist it. I looked her up and down and said, “You look no different”. All the friends erupted in laughter but, somehow, it seemed that Nita did not find the joke funny. Yeah! Well! Sometimes people are slow on the uptake and find it embarrassing to laugh when they do get it half an hour later. I proceeded to express my love for her with my lips – not by speaking of course! She seemed to shed her doubts and things reverted to the way it was before - except that, every now and then, she used to cast speculative glances at me particularly when Sheetal was around. “Ah! Nita! The camera can only capture what is there” I said in my usual jovial tones. Once again, Nita did not seem to get the joke. For a person who loved me for my sense of humor she was pretty slow on the uptake. For the next five days I did not see Nita. On the sixth day Anil and she were walking towards me and I called her. She came over to me and said, “Harish! You know you don’t love me. I don’t want to hang around your neck when you want to be rid of me. So let us just be good friends.” From the tone of her voice it seemed like she thought that the only good friend was a dead friend! “It is OK, Harish! No need to make excuses for breaking off from me. I understand”, she said and walked away to join Anil in what looked like the start of another Fevi-kwick relationship. Can someone tell me whether I dumped her or she dumped me? It seemed as though I had broken up with her but, for the life of me, I cannot remember having done so. That was my first girlfriend. There must be something to feminine intuition. Sheetal meant nothing to me when Nita expressed her suspicions but, apparently, I meant something to her. If Nita’s was the sort of beauty that grew on you, Sheetal’s beauty thrust itself into your notice, if you know what I mean. This, then, was the girl who was saying that my sense of humor was of the stuff of fables! Sheetal as a girlfriend was far different from Nita. With Nita we were stuck to each other but she preferred time apart from the crowd. Sheetal, however, could not do without a crowd of satellites and, thus, we were always at the center of a boisterous mob. One day, Sheetal came over with her curly hair straightened out. “How do I look?” she asked us in general. “Of course your looks have improved. Any change could only have been an improvement”, I joked. Guffaws of laughter erupted from our crowd. 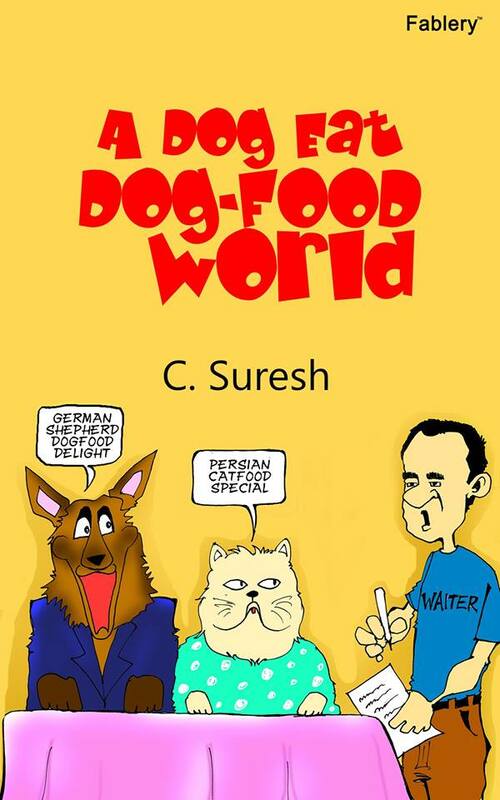 Sheetal, strangely, had a frown on her face. I don’t know what it is with girls. They cannot understand the simplest jokes! That very evening, Sheetal came over and said, “Harish! It is all off between us. You have no empathy, no consideration for my feelings. I don’t think I want to spend time with someone whose love is so shallow” and stormed away leaving me with the eternal question of the male species - “But what did I do?” - still hovering on my lips. So, once again I had lost my girlfriend! Can someone please tell me what is going wrong? Once again, a girl is absolutely in love with my sense of humor. I don’t want to lose her too! This is a question that is mostly asked by either the naïve or the manipulators. You do not trust that something you drop will fall down, you know it. (We are talking about mundane living and not about free fall in a spaceship). Proven facts do not require trust. It is only when you do not know that something is true that you have to trust in it. Thus, the very fact that you have to trust in something means that there is an element of doubt about the truthfulness of the thing that you trust in. Trust, therefore, carries the seeds of distrust embedded in it. How true then that trust in any human relationship exists only on the grounds of trust in your judgment about the other person. Being but ordinary mortals, we do not possess infallible judgment and, thus, it is natural for us to feel doubt when things happen that seem to contradict our trust. It is only the naïve who can think that their own honesty is so apparent that the other person cannot have the least smidgen of doubt about it. If someone dear to you seems to have some doubt about some facet of your character or actions, getting all wounded about it and plaintively asking him/her this question is actually no help. To trust you beyond a shadow of doubt the other person has to trust his/her judgment beyond a shadow of doubt – which is close to impossible for most ordinary mortals. It is best to explain the situation. Else, you could well shut the other person up from pursuing the question but, in any long term relationship, such silences will only end up killing it. Over a period, there will be more knowledge and, thus, less reason for distrust. If the distrust is persistent and inexplicable, it is still naïve to be asking this question – it is probably better for you to kill the relationship yourself. More often than not, this question is asked to manipulate the other person’s thoughts or actions. The manipulation may be unconscious, minor or even benign but manipulation it would be. The intent here is to get to know what you are keeping from him. When he asks about trusting him the question is - Trust what? That he will not use it to blackmail you? That he will not start tweeting it to the rest of the world the moment you leave him? That he will not share it with someone and say, “But you guys are so close. I thought you would have told him yourself”? That he will not say, “He told me that long back” when you choose to share the secret with the rest of the world? That he will not part with it to save his life? Trust what, again? Trust that she will not run away with the money or deny having borrowed it from you? Trust that she has the ability to successfully run her business and be able to return the money to you? Trust that she would have made provisions to return your money, in the event that something untoward happens to her? We, invariably, end up considering this question as one of trusting the other person’s integrity. Any time an act of trust is required of us, there are multiple things to be considered in addition to the other person’s integrity. A doubt on any of these facets may cause you to prefer not to fall in with the other person’s wishes. Being asked the question, however, puts you in the position of either telling the other person exactly what you are doubtful about – something you do not want to do with a person you care for, normally - like for example, telling your business-woman friend that you do not think that she would do well in business. This puts you in the position of falling in with the other person’s wishes while not inclined to do so. When not used by a naïve person, this is a question that has been liberally used by manipulators to get their way. What, to me, is reprehensible is the fact that it works only on the people who really care for you and, to me, a person who will cheerfully manipulate people who love him/her is not the sort of person I really want to know. “Don’t you trust me?” is one of the most insidious manipulative questions in the world. Trust me! I was peacefully walking on the pavement on the 100 ft road in Indiranagar. I stepped off the pavement to cross the intersecting road. The next thing I knew the world somersaulted around me and I was lying on my side on the road with my foot inflating slowly like a football being filled with air. One of those inevitable small pieces of stone had strategically positioned itself in such a way as to be under my foot at the right moment to turn my ankle and spill me all over the road. Why spoil your day with the rest of the tale of woe about how I got home and how long I took to heal. It is best that I close that chapter with the thought that brought a smile to my lips even on that day. A college is a fountain of knowledge where students gather --- to drink! Any bar in the vicinity of any college will testify to the essential truth of this quote! The office is the last place one looks to for humor. Any office always has that sincere worker who is glued to his seat and takes pride in not taking a single break. Co-workers of such a paragon inevitably get pretty worked up about him/her. In my days, thanks to a good friend, I have had a quote that lightens my mood after my boss has chewed me up for not emulating that ideal employee. Some people will do anything for money – even work! The unlikeliest of places to bring a smile to my lips has been my super-boss’ office. He had this prominent sign on his wall. Are you here with the solution or are you a part of the problem? Every time I entered his room I used to wonder how he himself answered that question – considering he spent more time with it than any of us did! The thought of how I would answer that question on his behalf invariably left me smiling at the end of the visit! Well! My versatility keeps increasing in geometric progression! Two more people have nominated me for versatile blogger. It probably seems gauche for me to keep proclaiming awards but, believe me, I am doing it more to thank the two who nominated me than to beat my chest about it. 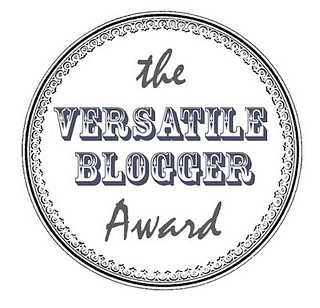 Navin Mathew and Saurabh Chawla have been kind enough to nominate me again as versatile blogger. The image on Navin’s nomination is new to me and is posted here. 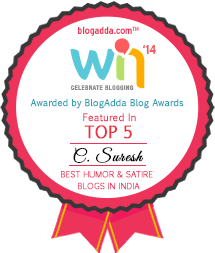 Saurabh’s nomination has the same logo as in my previous ‘I am versatile’ post. I have no clue as to whether these are both the same or are different. What the awards primarily indicate to me is that there are people who actually read and like my posts. That is the message that I treasure and for communicating to me that they do see value in my posts I am truly grateful to Navin and Saurabh as well as Indu Chibber and Cynthia Vincent. I have had a lot of messages about my being a ‘great’ blogger. Being but two months old – in the real sense – in blogosphere, I don’t think I qualify as great on experience. Since none of these people have seen me they can’t have seen how great I am in girth. I presume that it is either respect for my age or the kindness of their hearts that makes them say these things. I prefer to think that it is the latter and it is heart-warming to know such lovely people, however vicariously! I will refrain from inflicting another seven things about myself on you and I hope you will forgive me for not finding another 10-15 bloggers to nominate for the awards. As for my prior nominations, those can be checked on my post ‘I am versatile’! Thanks once again both the all the people who nominated me as well as all the people who read me and wish me well!